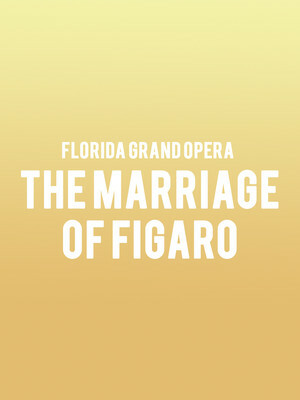 Why See Florida Grand Opera - The Marriage of Figaro? The Florida Grand Opera's 78th season continues with a rollicking staging of Mozart's enduring opera buffa, The Marriage of Figaro. Composed in 1786, the high-spirited masterpiece was an immediate success thanks to its revolutionary mixture of love, revenge, disguise, hilarious hijinks, and instantly memorable melodies. The fast-paced farcical romp continues to be an audience favorite in the opera houses of today. Filled with more twists and turns than Trump's relationship with Russia, The Marriage of Figaro explores territory that would have surely raised a few eyebrows in its day, i.e. the contentious relationship between the lower and ruling classes. 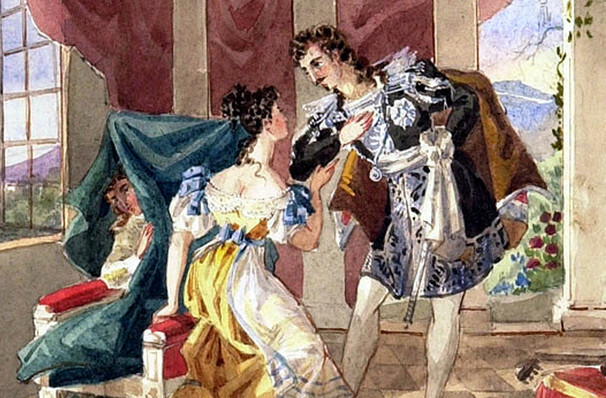 Set in Spain, serial love rat Count Almaviva has set his sights on his Countess' maid Susanna, much to the chagrin of his valet Figaro, who is Susanna's betrothed. The Countess, Susanna, Figaro and their fellow servants conspire to punish the rapscallion Count with hysterical results. Seen Florida Grand Opera - The Marriage of Figaro? Loved it? Hated it? Help your fellow Miami Theater visitors by leaving the first review! Sound good to you? Share this page on social media and let your friends know about Florida Grand Opera - The Marriage of Figaro at Ziff Opera House. Please note: The term Ziff Opera House and/or Florida Grand Opera - The Marriage of Figaro as well as all associated graphics, logos, and/or other trademarks, tradenames or copyrights are the property of the Ziff Opera House and/or Florida Grand Opera - The Marriage of Figaro and are used herein for factual descriptive purposes only. We are in no way associated with or authorized by the Ziff Opera House and/or Florida Grand Opera - The Marriage of Figaro and neither that entity nor any of its affiliates have licensed or endorsed us to sell tickets, goods and or services in conjunction with their events.